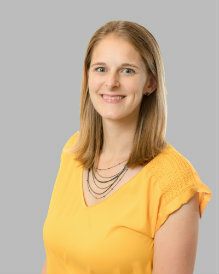 Betsy Geraci, PA-C is certified by the National Commission on Certification of Physician Assistants. As a physician assistant, she works with First Coast Heart & Vascular Center physicians, performing patient assessments, diagnosis and treatment of cardiac conditions and illnesses in Flagler Hospital. Betsy graduated from the University of Florida with an Exercise and Sports Science degree. She attended Nova Southeastern University where graduated with a Masters in Physician Assistant Studies. Betsy has 4 years experience in family and geriatric medicine and has been a NCCPA certified physician assistant since 2013. Betsy has a 6 month old- son and currently works weekends only for First Coast Heart & Vascular Center so that she has an opportunity to spend quality time raising her beautiful little boy. She also has a 12 year old step son and she enjoys watching his games. She is a huge Green Bay Packers fan; she loves going to the fan club to watch the games with the family.